I was on half day leave today and was at the Media Centre today to collect something. 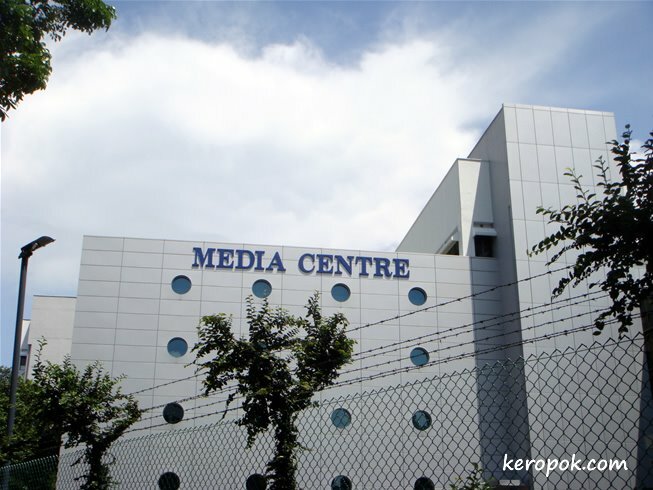 Media Centre belongs to Singapore Press Holdings, commonly known as SPH. In Singapore it publishes 14 newspapers in 4 different languages. Plus many magazines too. I was there to collect a free gift that came with one my magazine subscription. Great picture today, I never buy papers but read them all online! I don't read traditional print news anymore because I don't like to get my hands dirty from the ink in the paper.